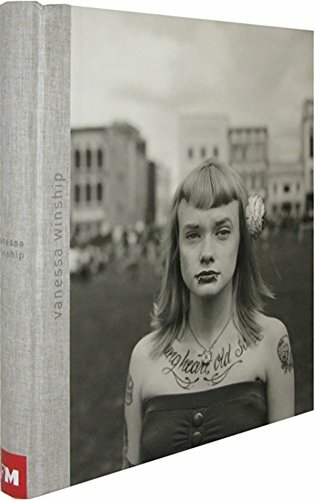 The work of British photographer Vanessa Winship (born 1960) first emerged into public consciousness in the late 1990s, as the political world map was being radically redrawn in the wake of the Cold War. Her sober, black-and-white depictions of Eastern Europe, shot in natural light on a variety of formats and cameras, explored concepts of borders, national identity and the vulnerability of humans within the continuum of history and world conflict. Upon her receipt of the prestigious Henri Cartier-Bresson Award in 2011, Robert Delpire observed: "Her work might be seen as a classic documentary approach but in fact it features a sensitivity and complexity that is deeply contemporary." This first broad survey of her work (previous monographs have focused on single series) lusciously reproduces her many acclaimed projects: Imagined States and Desires: A Balkan Journey (1999-2003); Black Sea: Between Chronicle and Fiction (2002-10); Georgia: Seeds Carried by the Wind (2008-10); Sweet Nothings: Schoolgirls of Eastern Anatolia (2007); Humber (2010); the widely acclaimed She Dances on Jackson (2011-12), of which Phil Coomes of BBC News raved: "This is pure photography, and ... viewed as a whole, is about as good as it gets"; and her most recent series, Almeria: Where Gold Was Found (2014). Also included are specially commissioned essays by Neil Ascherson, Stanley Wolukau-Wanambwa and Carlos Martin Garcia; excerpts from books by Juan Goytisolo; plus a biography timeline, an updated bibliography and a selection of texts by the photographer used to complement each series in the style of a travel diary.